Learn how to cook a great menu, grilling, baking and enjoying beer! 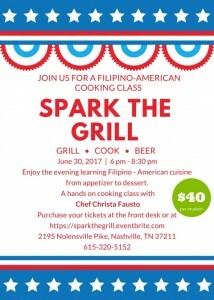 Enjoy the evening learning Filipino – American cuisine from appetizer to dessert in this hands on cooking class with Filipina Chef Christa Fausto. 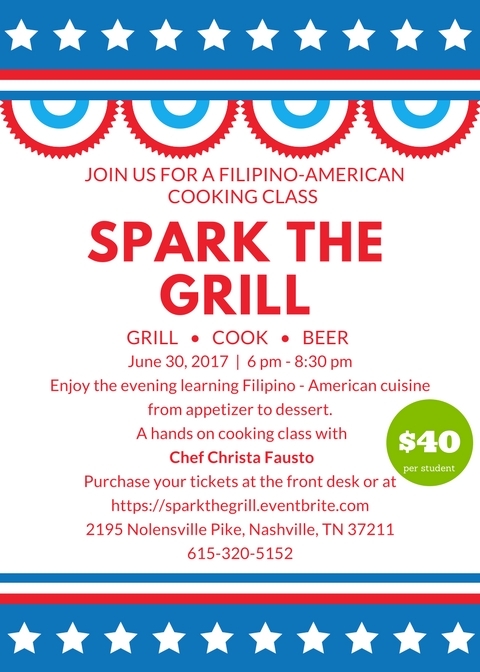 Surprise your friends and family next 4th of July with a unique FIlipino twist in some traditional American favorites, and enjoy your creations after the cooking class. Past, Thanks for your support!